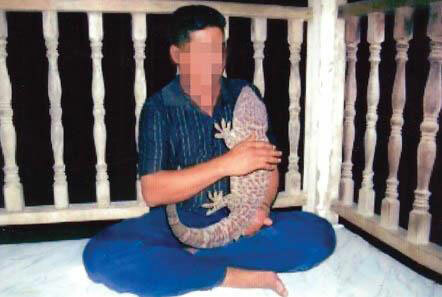 Rangoon (Mizzima) – A 3 and ½ foot long gecko was sold for 1.7 billion kyat (about USD $2 million) at Kyaukse Village in Sagaing Region on October 30, according to 7-Day News Journal. Chinese traders reportedly bought it to use its regurgitation fluids in making a traditional medicine. Originally, a Mandalay-based trader offered to buy the gecko at the price of 1 billion kyat, a gecko trader in Mandalay Region said. 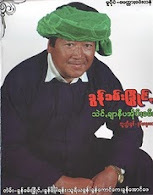 “The gecko is not from Kyaukse Village. But the transaction was conducted in the village. Its weight is 1.40 viss (1 viss = 1.6 kg),” a resident told the journal. Currently, the Mandalay area is a hunting ground for gecko traders who buy geckos that weigh more than 0.25 viss to be used in making medicine. CBS news reported in July that geckos are used as medicine based on folklore and traditional Asian medical practices. In folkloric practice, geckos are dried and pulverized to use as traditional medicine for asthma, AIDS, cancer, tuberculosis and impotence – and also as aphrodisiacs. A Philippine wildlife official said that there are also anecdotal accounts of the saliva or internal organs being collected. However, using geckos as a medical treatment has no scientific basis and could be dangerous because patients might not seek proper treatment for their diseases, a Philippine health department official warned. Still, people are using the wall-climbing lizards as medicine all over Malaysia, China and South Korea, said the CBS report. The growing trade of geckos also alarms environmental officials. An 11-ounce (300-gram) gecko reportedly sells for at least 50,000 pesos ($1,160) in the Philippines. Geckos feed on insects and worms, and larger species hunt small birds and rodents. A healthy population of geckos is needed to regulate pests and maintain the fragile ecosystem.